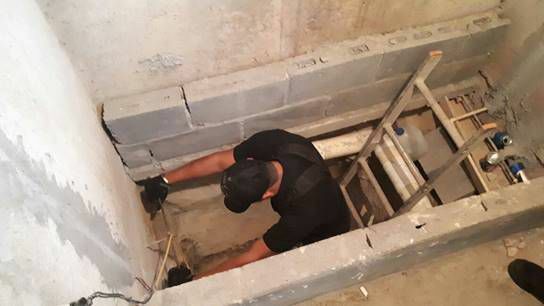 A Mexican police officer enters the basement of a home in Camargo, Mexico, where more than 5 tons of marijuana were found concealed. CAMARGO, Mexico — More than five tons of marijuana was seized Wednesday by the Tamaulipas State Police and the Mexican Navy, according to a news release from the Tamaulipas state governor’s office. The drugs, separated into approximately 1,180 packages for shipment, were found inside the basement of a home in a Camargo neighborhood. The value of the drugs is estimated to be $8.8 million and is the largest seizure made in recent years by the state police, the release states.